Are you stuck in a rut this spring? 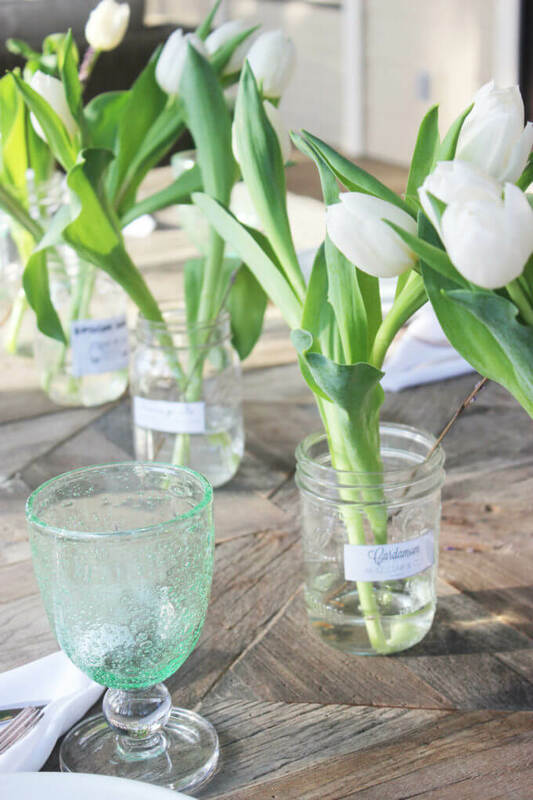 I have 14 ways to add spring to your home right now! 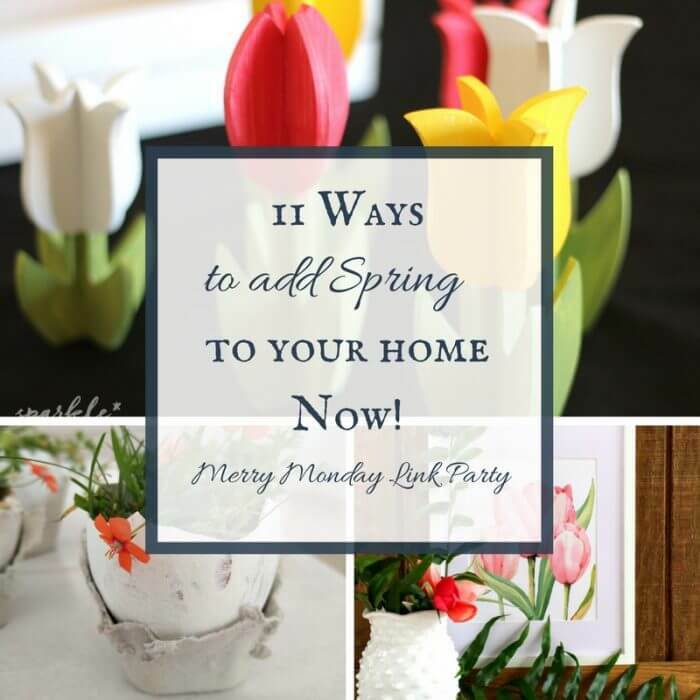 This last Merry Monday link party was overrun with so many great spring decor ideas that felt it only right to feature a handful of my favorites. 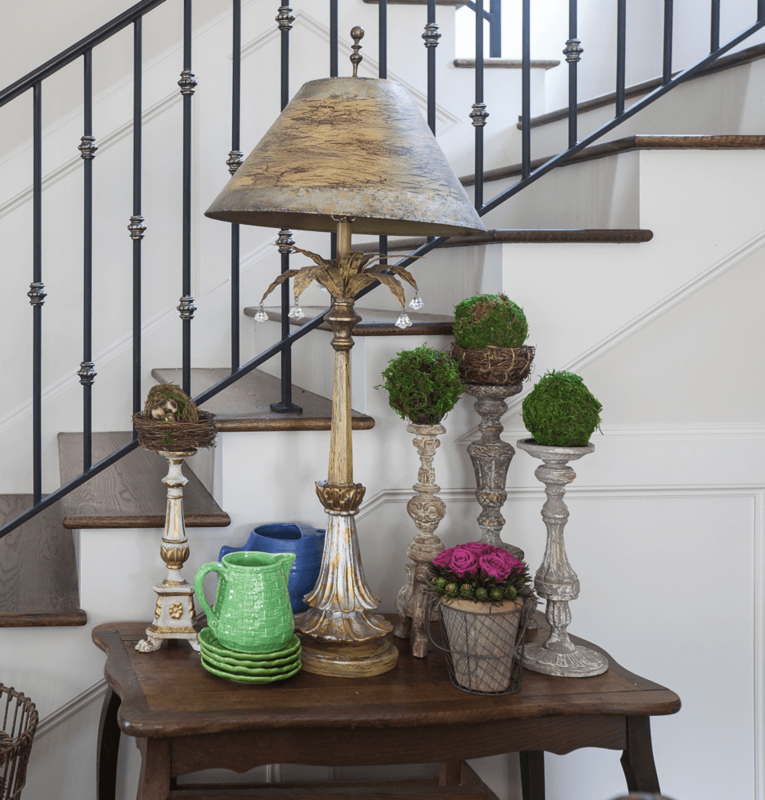 From using florals to light and bright colors, its easy to add spring decor to your home. There are so many ways that you can add spring decor to your home. I love adding simple touches to my home. I want something that is easy and not time consuming. 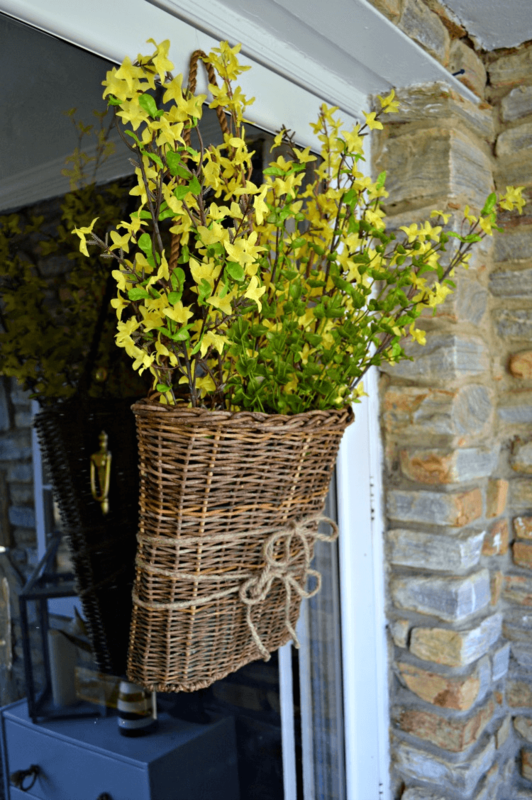 check out these wonderful ways to add spring decor to your home now! 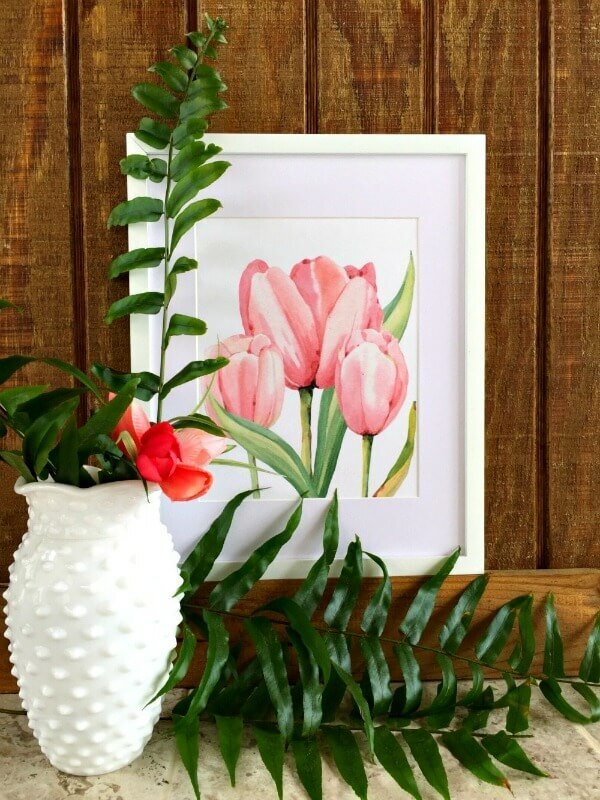 Start by adding this awesome tulip printable from Refresh Restyle. Printables are a wonderful way to add simple spring touches, while keeping everything else in your home the same. Printables are easily changed out for each season. 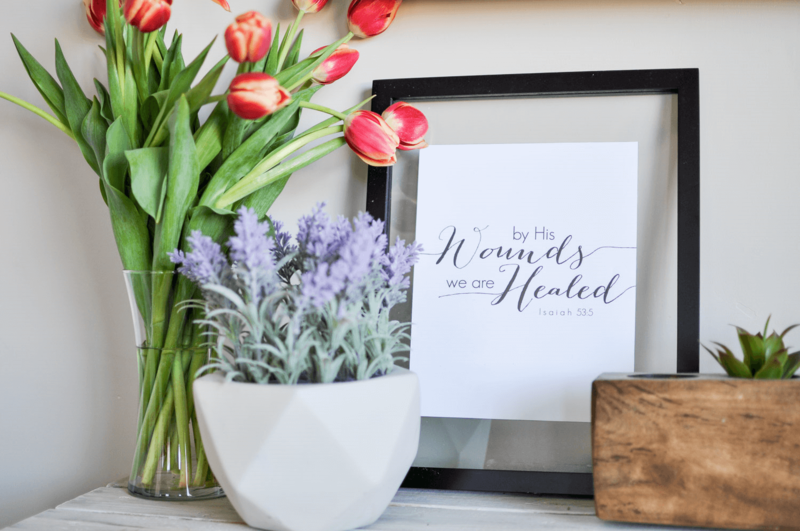 I love using printables in my spring decor. Create these moss balls like Cedar Hill Farmhouse. I love moss balls and the simple green element they add to spring decor. You can also see how I made my own moss balls here. 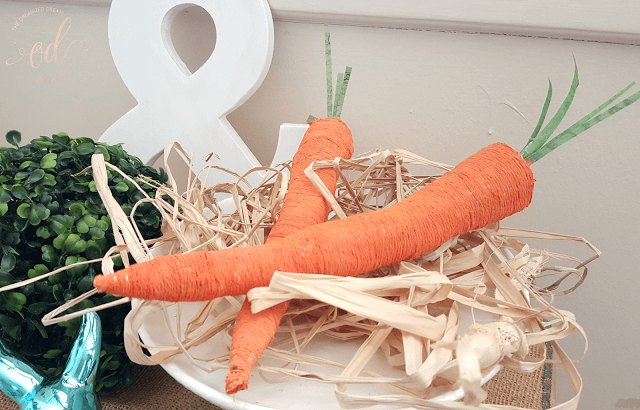 Whip up some of these super fun rustic carrots by The Organized Dream. How cute would these be in a Easter vignette. They are so cute. Why not make one of these cool basket door hangers by Chatfield Court. 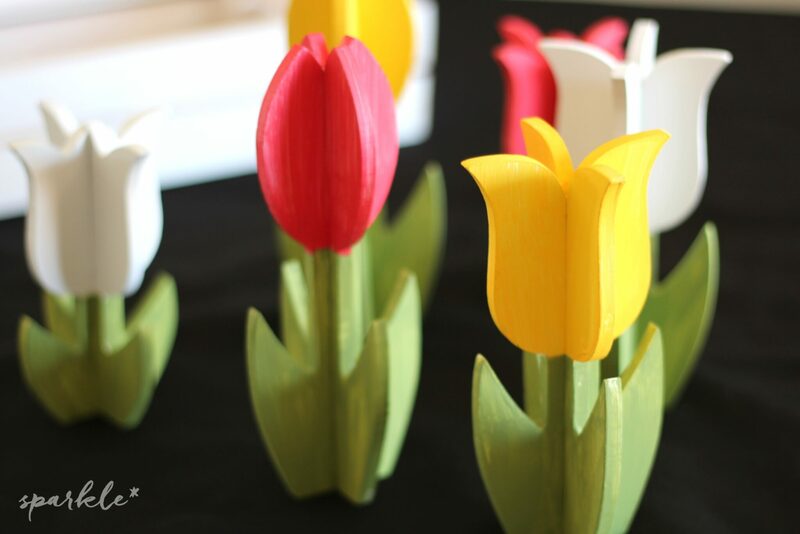 How adorable are these DIY wooden tulips by Sparkle Living Blog? 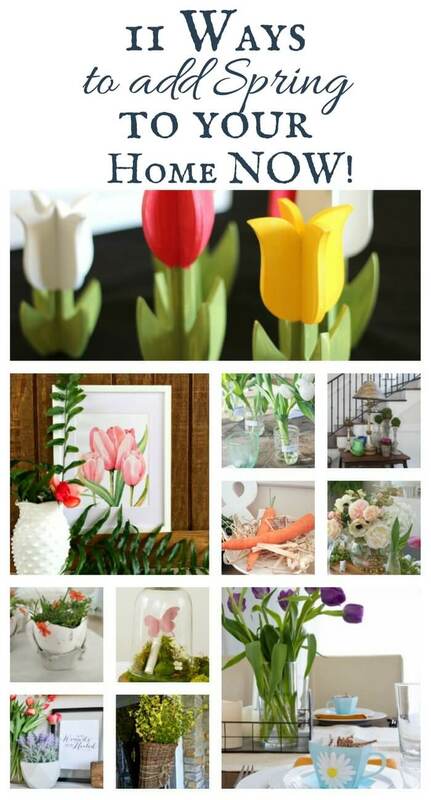 Add tulips to your home to add instant spring to your home like Simple Nature Decor Blog. 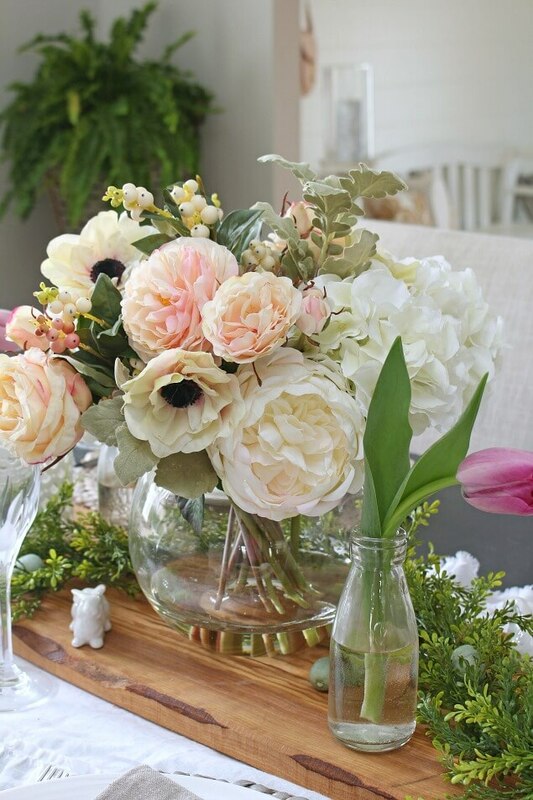 Add faux flowers to add brighten your space like Clean and Scentsible. How about add some of these paper tea cups to your table like Houseful of Handmade. And of course the tulips are prefect. How adorable is this Easter eggshell table decor by Kreativ K? 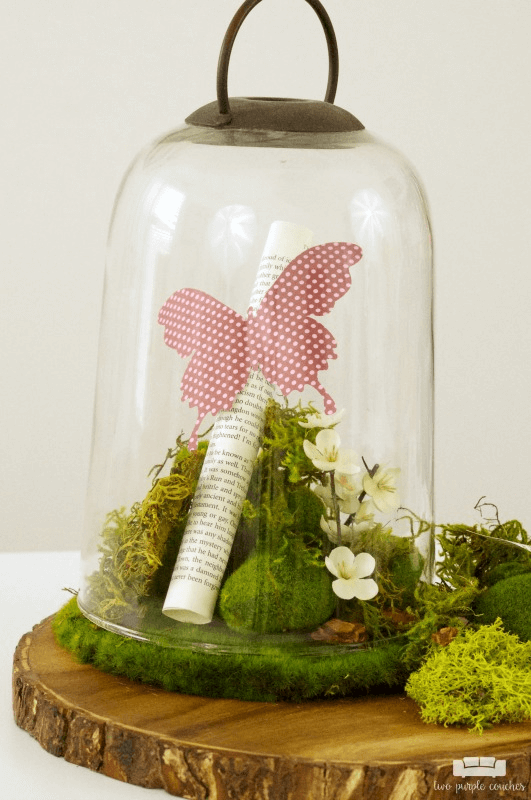 This spring cloche by Two Purple Couches would be perfect in any home! 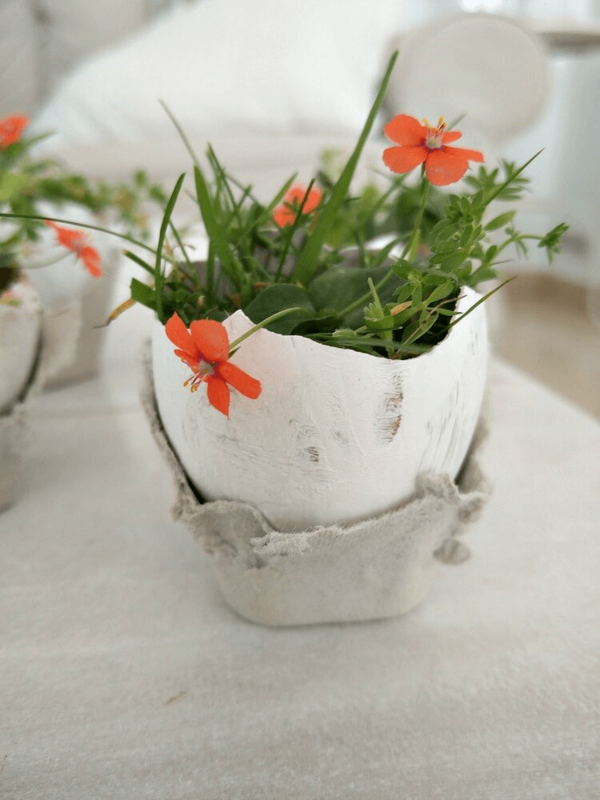 Finally, adding floral pieces to any part of your home will give instantly add spring to your home right now. 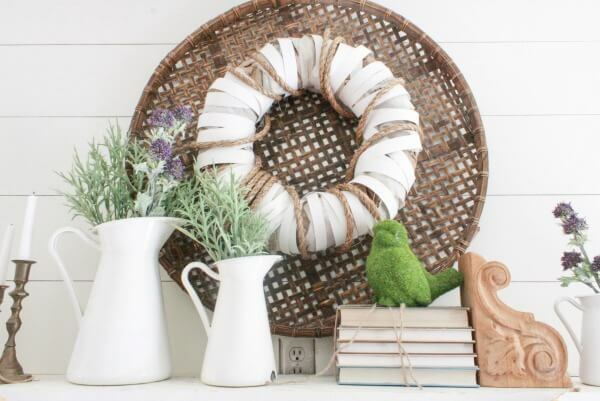 My friend at Cherished Bliss does this oh so well in her spring home tour. And here’s one more bonus way to add spring to your home. Last week I posted about my spring mantel. Decorating your mantel for spring is the perfect way to add spring to your home. 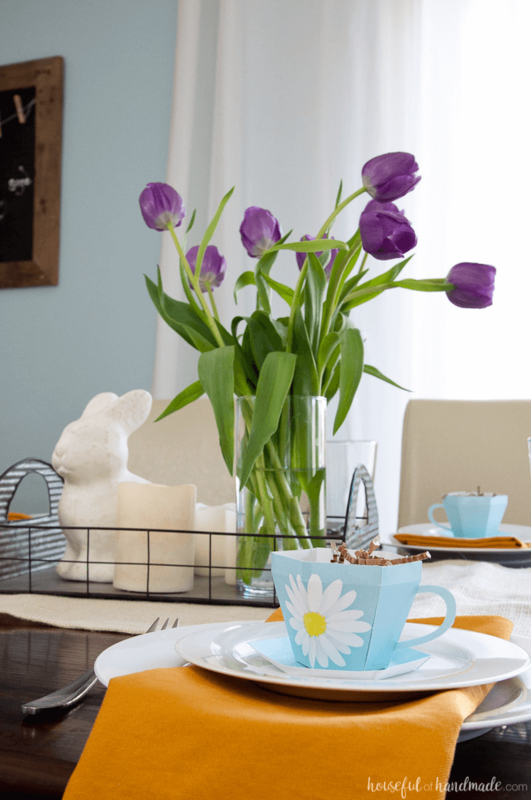 Adding spring decor to your home is the perfect way to brighten up a space after a long winter. I love the light and bright feel that it has. I hope you found inspiration in these creative ideas. Now, make sure you PIN IT and add spring to your home! Thanks so much for featuring my tulip post, its a true honor. There are so many pretty ideas. Will share on my FB and pin.